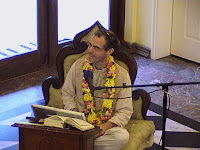 Listen to Akuti devi dasi class on text 5-14 of the Srimad-Bhagavatam (Bhagavata Purana), canto 12, chapter 4, entitled "The Four Categories of Universal Annihilation" given on April 17, 2019 at the Hare Krishna temple in Alachua, Florida.The Srimad-Bhagavatam is a sacred Vaishnava text from India that narrates the history of God (Krishna) and His devotees. It is translated with elaborate purports by His Divine Grace A.C. Bhaktivedanta Swami Prabhupada. Srimad-Bhagavatam is available. 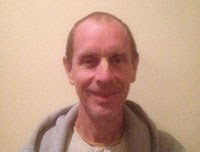 Listen to Chaturatma dasa class on text 1-4 of the Srimad-Bhagavatam (Bhagavata Purana), canto 12, chapter 4, entitled "The Four Categories of Universal Annihilation" given on April 15, 2019 at the Hare Krishna temple in Alachua, Florida.The Srimad-Bhagavatam is a sacred Vaishnava text from India that narrates the history of God (Krishna) and His devotees. It is translated with elaborate purports by His Divine Grace A.C. Bhaktivedanta Swami Prabhupada. Srimad-Bhagavatam is available for sale at Krishna.com.. 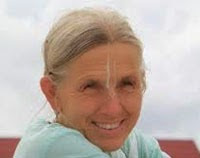 Listen to Dina Sharana dasa class on text 50-52 of the Srimad-Bhagavatam (Bhagavata Purana), canto 12, chapter 3, entitled "The Bhūmi-gītā" given on April 15, 2019 at the Hare Krishna temple in Alachua, Florida.The Srimad-Bhagavatam is a sacred Vaishnava text from India that narrates the history of God (Krishna) and His devotees. It is translated with elaborate purports by His Divine Grace A.C. Bhaktivedanta Swami Prabhupada. Srimad-Bhagavatam is available for sale at Krishna.com. 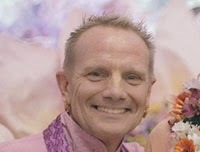 Listen to Pundarika Vidyanidhi dasa's special class on Rama Navami given on April 13 2019 at the Hare Krishna temple in Alachua, Florida. Listen to Yamaraja dasa class on text 44-49 of the Srimad-Bhagavatam (Bhagavata Purana), canto 12, chapter 3, entitled "The Bhūmi-gītā" given on April 12, 2019 at the Hare Krishna temple in Alachua, Florida.The Srimad-Bhagavatam is a sacred Vaishnava text from India that narrates the history of God (Krishna) and His devotees. It is translated with elaborate purports by His Divine Grace A.C. Bhaktivedanta Swami Prabhupada. Srimad-Bhagavatam is available for sale at Krishna.com.